Bunker Books - more underground eye candy! I am endlessly fascinated by stories, maps, charts and images of 'secret' underground spaces. I am also a sucker for large-format picture books. So I recently ordered another 'bunker book' for my overflowing office bookshelves. 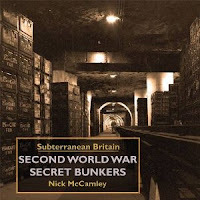 This new book by Nick McCamley is a nice volume with some good details, good mix of historic and recent photographs of the different bunkers used by UK military and govt in the 2nd WW period (mainly converted underground stone quarries) and also some detailed orginal layout plans. The text is fairly readable and offers some insight into how the bunkers were acquired and operated. Given that its published by a small press, the production values are also good. 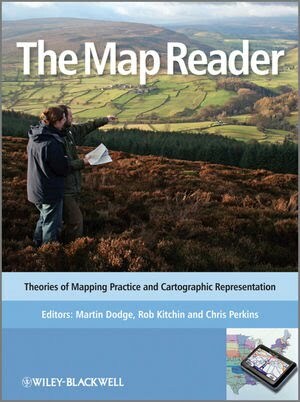 The Map Reader is moving fast toward printing and publication. We are working hard checking and correcting the page proofs. Its going to be a big book - well over 500 pages in length. There are 60 chapters, including 5 new essays we've written to introduce the different sections. The table of contents lists the wide range of key work on mapping we have chosen to excerpt. Here is the pageproof draft of the foreword that gives some background on why we produced the book and how we made our selection of material. The book is now shipping according to Amazon.co.uk and I just noticed that Wiley put the introductory chapter, What are the 'classic' articles in cartography? , up on the product webpage. More details, including the table of contents, on the publishers product page. I'm currently working hard on the pageproofs for the next edited book, The Map Reader.